Looking to learn more about landscape design, construction and drafting? The Institute is offering many other courses including a three-week introduction to design intensive, M-F, in July. Heather says it can be very rich to immerse oneself that way. If you have any questions, call 617 585 0100. Be well! 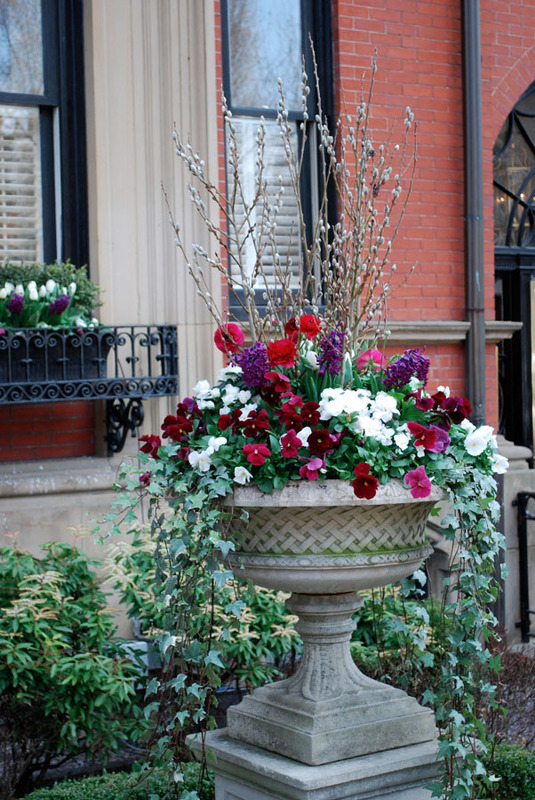 Before you plant your Spring window boxes, containers or street-side tree gardens, please read this! 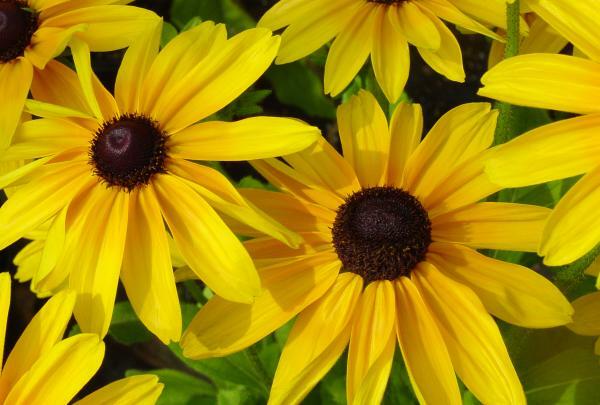 Ellen Abdow, the talented owner of Perennial Gardens, is offering her 5 top tips for a successful flower garden. As a featured speaker at two City Garden Ideas workshops, she famously introduced the phrase ‘Thriller, filler and spiller,’ the three flower components for a winning container, to the audience. Watch Ellen in this YouTube video from the 2012 CGI workshop. Tip 1. Look, listen and learn from all the gardeners that have come before you and the gardens all around you. Indulge in some good books. I always buy the ones with the most pictures. (Janine likes The Well-Tended Perennial Garden). Subscribe to magazines and gardening blogs to learn about the latest trends and tricks of the trade. 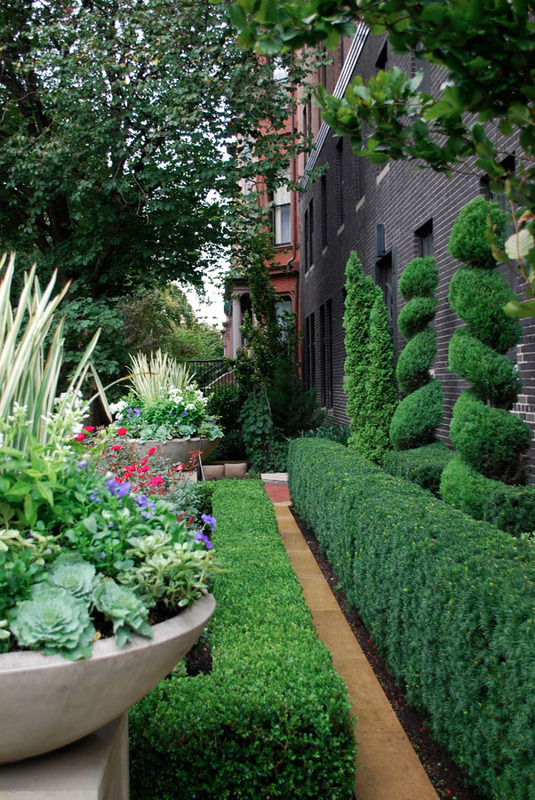 Go on garden tours in the city, attend the Garden Conservancy’s Open Days garden tours. See what you like in other peoples gardens, copy, and make it your own. 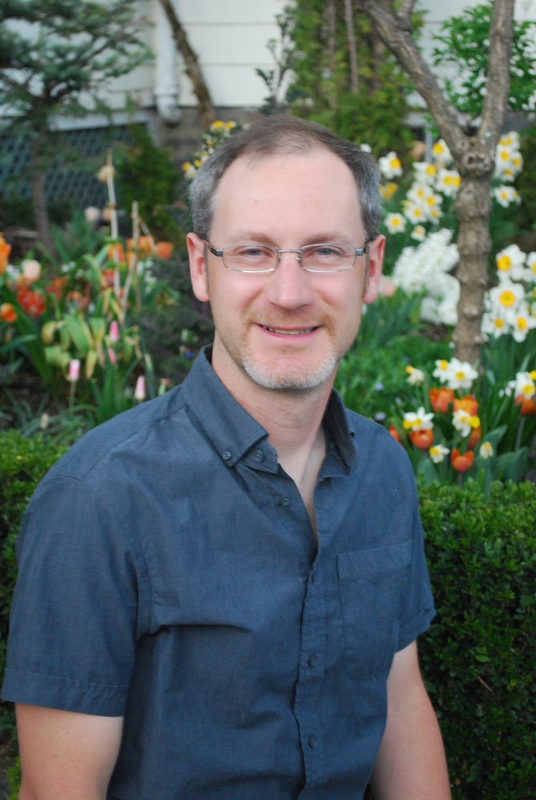 Mass Horticultural Society, New England Wildflower Society and the Arnold Arboretum all have excellent lectures and courses throughout the year jam packed with great information. Tip 2. Be honest: Make an accurate evaluation of sun vs. shade, and plant what’s best geared for those light conditions. There are so many interesting cultivars of plants for any light conditions. Read the labels, ask your local garden center for advice and guidance, and plant accordingly. Tip 3. Food and water: Proper soil and nutrition grows healthy plants. Build a solid foundation and plants will grow easily. Take the time to evaluate your soil and add organic matter to create nutrient rich growing environments. Invest in good potting soil for hanging baskets and potted plants that drains quickly found at your local garden center. Water regularly, not too much, and not too little. Ask for expert advice, and use it! Tip 4. Change your mind: If you don’t like the way your planting looks, change it out. Try something new. A garden is never finished. Be willing to take chances. Have fun, relax, and grow what makes your heart go pitter patter. Tip 5. Use every inch of space you have: Stuff every centimeter of your space with plants. 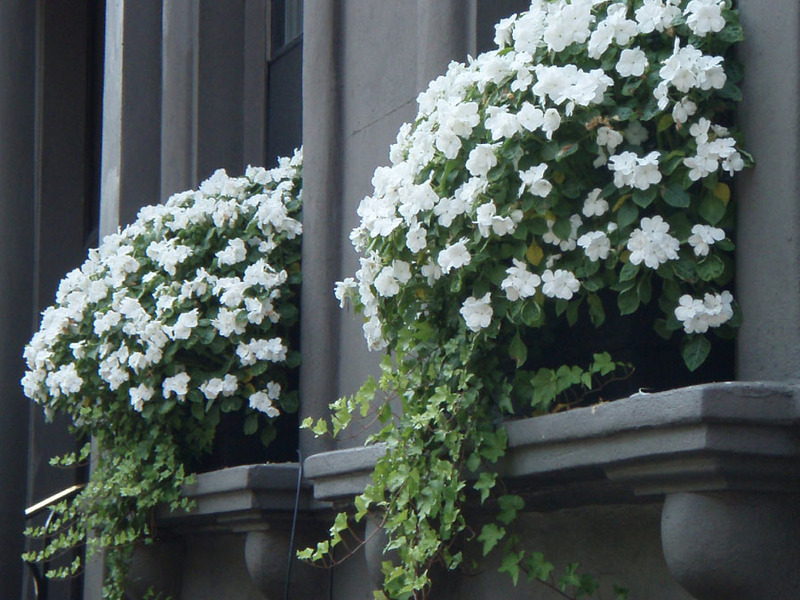 Mount shelves on the walls, hang baskets off the railings, try vertical gardening. You can grow almost anything in a pot, just remember that a plant in a container is totally dependent on you for water and food. 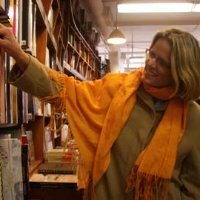 Ellen started her business in 1993 and she and her team actively design and install gardens in Boston and out in the suburbs. To learn more about Ellen and Perennial Gardens, visit www.perennialgardens.net. By the way, that’s my tree garden 🙂 in front of the Perennial Garden truck. Happy planting! Hello… Sorry about sending out the empty post! Pushed the Publish button by mistake. With the holiday season upon us, I wanted to share a gardening book I recently found at Annie Bells, now K Colette, a store filled with interesting things in Portland, Maine. The Balcony Gardener is a website and the name of an easy-read, tip-rich book that would be perfect for the beginner or intermediate gardener. 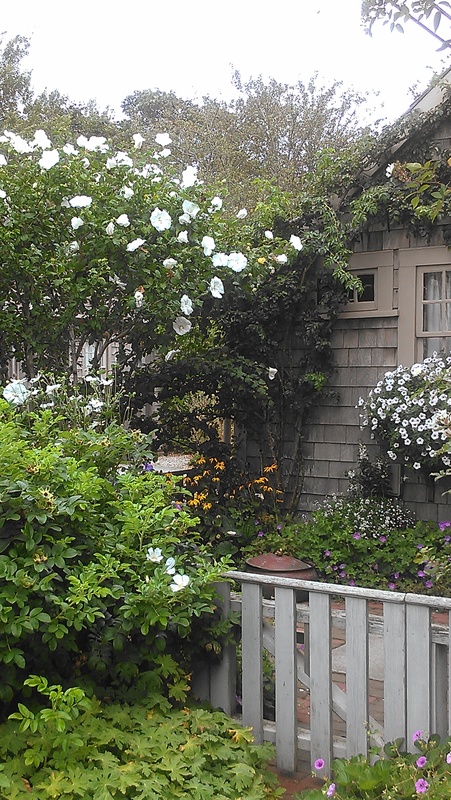 Isabelle Palmer is the author and, like me, loves beautifying small spaces. I bought the book for $19.95 but see it on Amazon for $13.57. You can also buy signed copies on The Balcony Gardener website. The book contains useful tips about gardening basics like soil, tools and pots. Plus very helpful chapters on growing herbs and other edibles. As the inside book jacket says, “Even with the smallest of outdoor spaces it is possible to create a beautiful garden, be it on a balcony, roof terrace or window sill.” I couldn’t agree more! If you have a city gardener on your holiday list, this book is worth checking out. If you have a favorite “go to” gardening book, please share! We welcome your comments. Enjoy the day! Rushing to an appointment a few days ago, I stopped in my tracks to watch a bird nibbling on a huge leaf of kale growing in the lush garden in front of Old South Church in Boston. 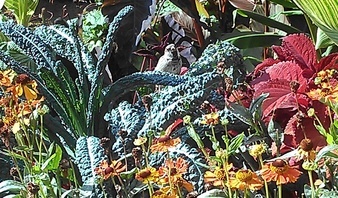 Can you spot that smart bird in the photo below? Then I just had to pause and appreciate how beautiful all the plantings were in this urban, street-side garden. Big, bold foliage and flowers with colors and textures to brighten the spirit of every passerby and herald in the fall season. The volunteer gardeners at Old South do outstanding work. Think about it. 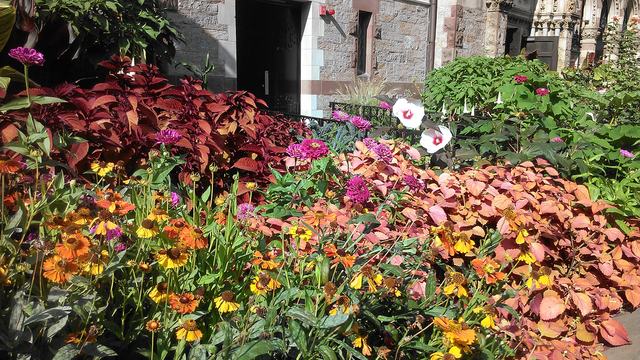 Two gardens – East and West – planted and thriving on Boylston Street in Boston, probably the busiest area in the city! I absolutely love the huge, white hibiscus (‘Kopper King’ hibiscus rosa-sinensis) and the Helenium autumnale ‘Moerheim Beauty’. How do I know these names? On display outside Old South are posters that list every plant and flower by name with a photo. What a resource! These gardens are truly a gift to all of Boston. My sincere thanks to all the superb gardeners and volunteers who tend them. Keep up the great work! American Garden Award Winners Announced! Hi Everyone. Just had to share these hearty beauties with you! The 2012 American Garden Award just announced the flower winners of their annual contest. 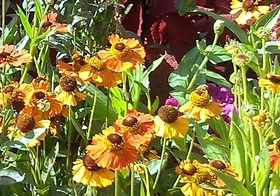 Each year six flower varieties are chosen by their breeders for their great garden performance. The varieties are planted and put on display at participating gardens and the public votes for their favorite. These are the winners and should be contenders for your garden next year. My favorite, by the way, is #2. 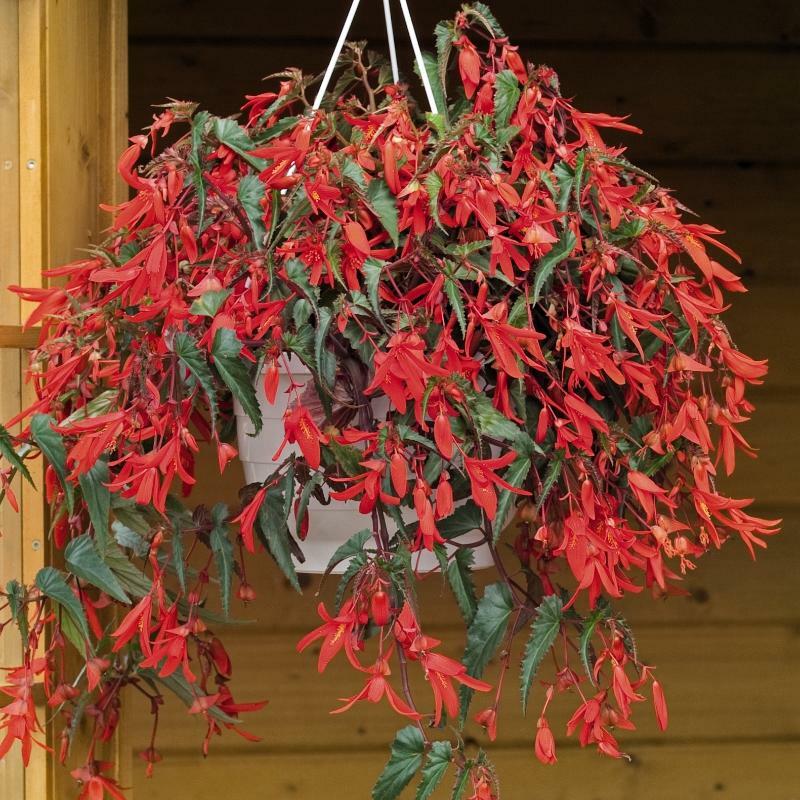 Begonia Santa Cruz™ Sunset lights up your garden with an abundance of scarlet/orange blooms. Its elegant softly cascading form is perfect for hanging baskets, urns or mass plantings in your garden. Surprisingly heat, drought and rain tolerant, this summer beauty thrives in any location from full sun to shade. 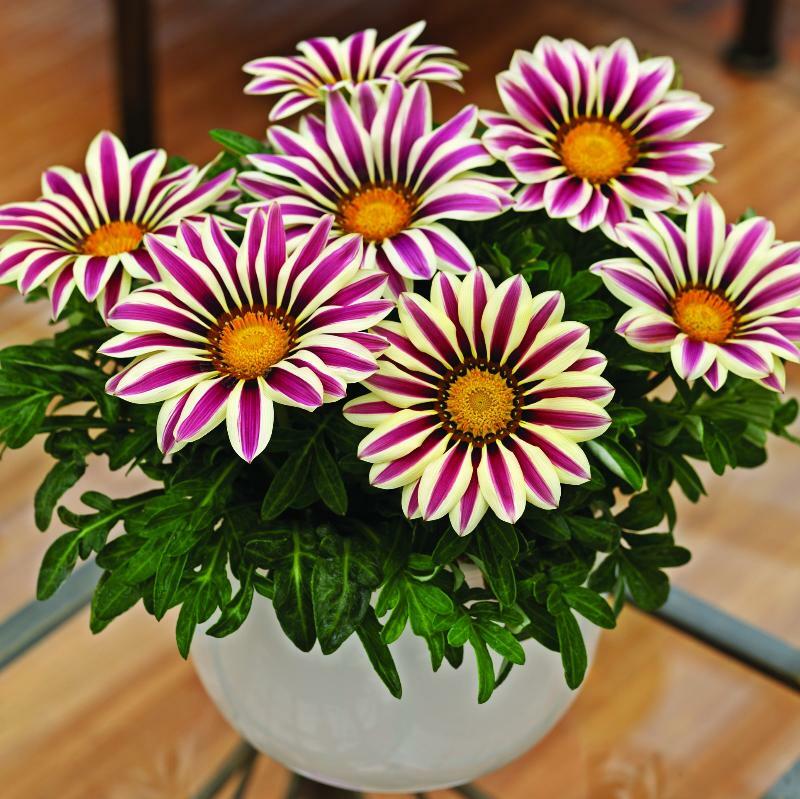 Gazania Big Kiss™ White Flame has huge white and rose striped flowers that cover full, bushy plants. 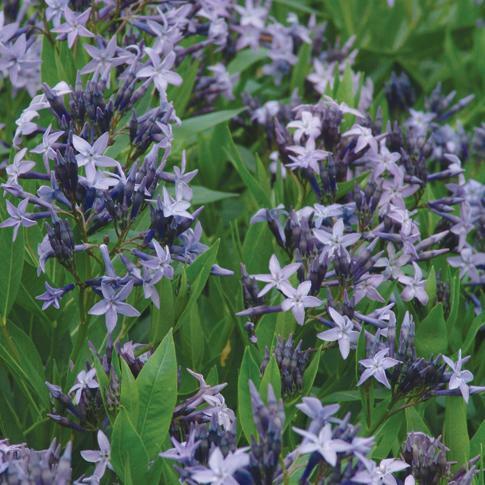 This carefree, heat loving and drought tolerant annual loves the sun and thrives in tough conditions, all summer long. Extra large flowers and plants make high impact displays in garden beds or containers. ‘Finally, the true deep red petunia gardeners have been searching for! For 20 years, Surfinia® has been the best-selling vegetative petunia series in the world, offering superior garden performance with no pinching or pruning needed. 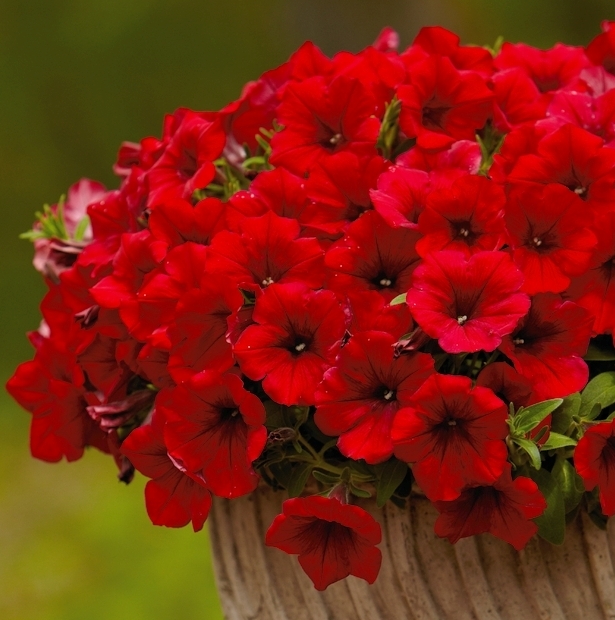 Enjoy ‘Surfinia® Deep Red’ in container gardens or in the landscape from spring through fall. It’s early September and so many of the bright spring and summer flowers have faded into memory. 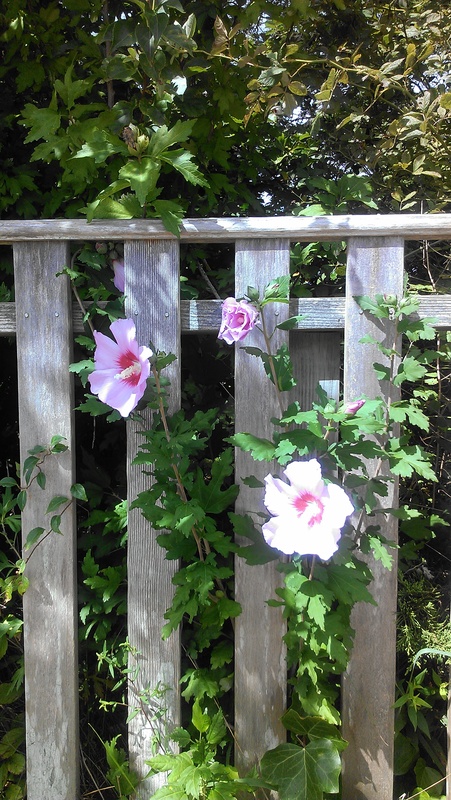 Thank heaven for the Rose of Sharon (Hibiscus syriacus). This hearty shrub offers late summer color. 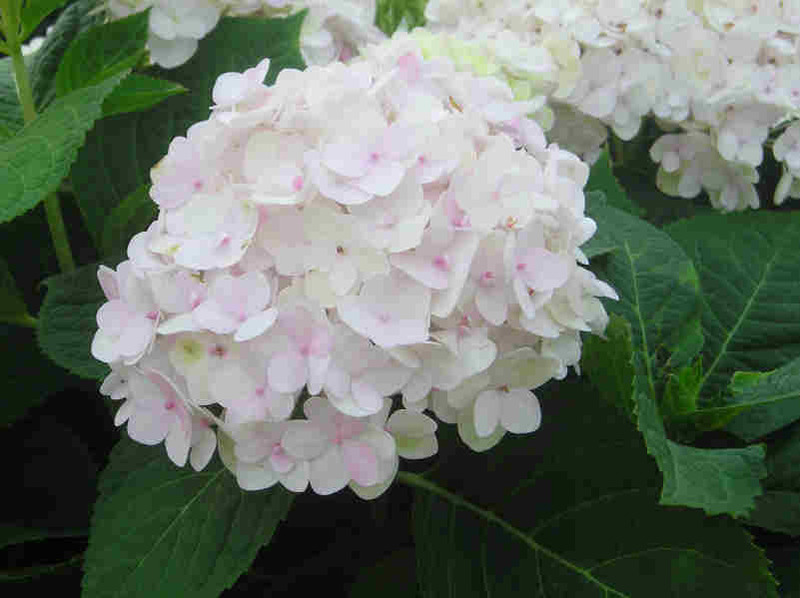 Blooms can be pink, purple, white, blue, red, even lavender, depending on the variety. If your garden space has lost its color pizzazz by mid-August, consider planting a Rose of Sharon this fall or next spring. 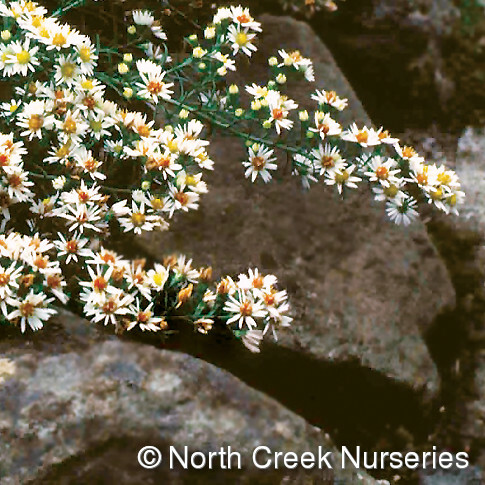 The shrub is easy to grow and low maintenance. Best of all, it will provide great color and texture in the waning days of summer.